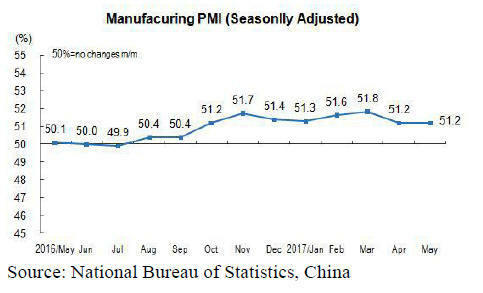 managers index (PMI) stood at 51.2, the same as in April. more pressure than the large state enterprises. wood flooring to the USA. of formaldehyde emission has been unified. alter the structure of forest products industry. been prepared by the provincial government. and the Suzhou Taicang container port. the total log import value through the port. metresin 2016, a year on year increase of 43%. million cubic metres in 2016, breaking a record high. certificates were asked to stop production. and labour costs in Shanghai.